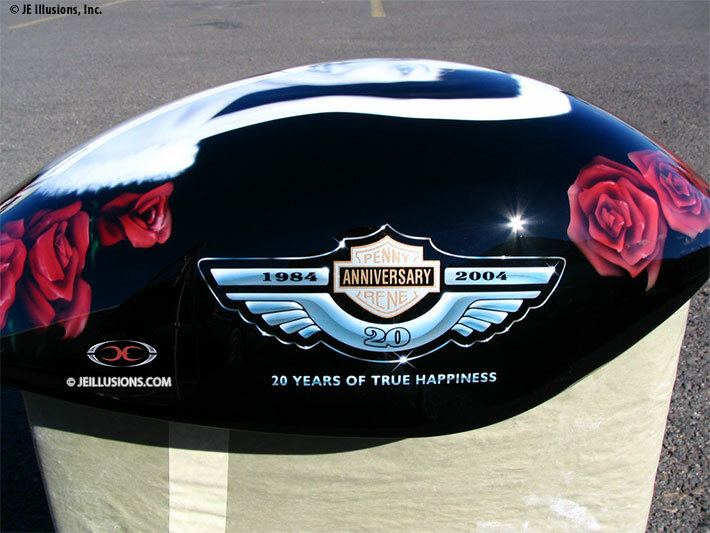 This airbox was an anniversary gift. 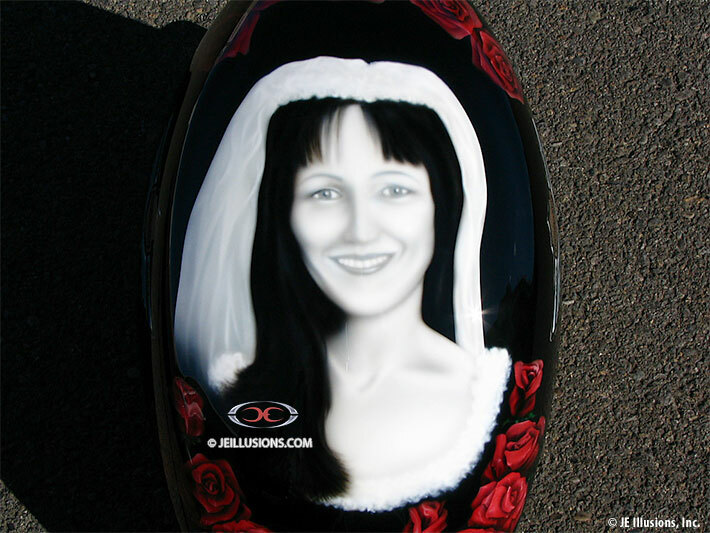 To commemorate their marriage the customer asked Josh to airbrush his wife on the top of the airbox cover in her original wedding dress. 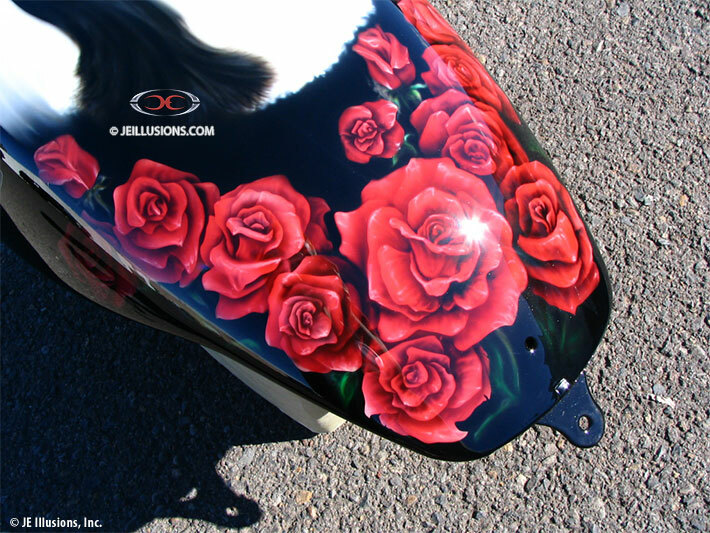 Surrounding the illustration are some very nicely detailed roses in various shapes and sizes. 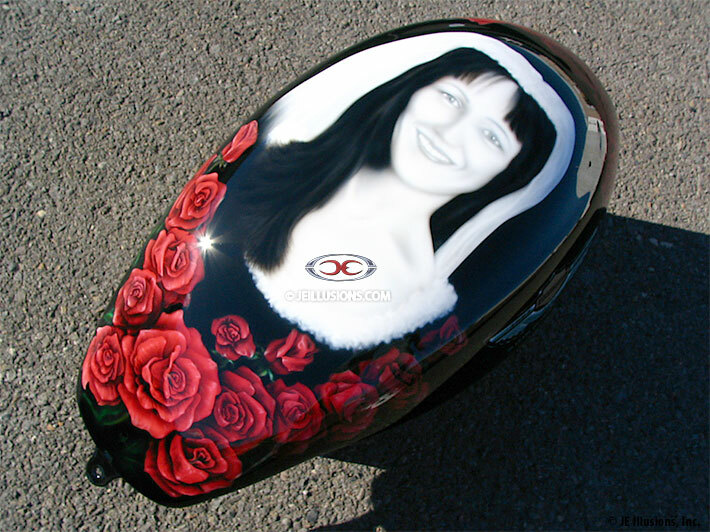 On each side of the tank is a custom Harley-Davidson badge logo with their wedding date.